Counter Cards are a great offline marketing tool for you can usein your businesses to announce awesome offers, special events and answer FAQ's. Need to get your message across with a small surface space? Try our strut cards. A cost effective desk, shelf or counter display that will be noticed across the room – perfect when space is at a premium. At Same Day Printing we print strut cards using the high definition presses to produce our trademark high quality print, with rich and vibrant colours with sharp and clear images. 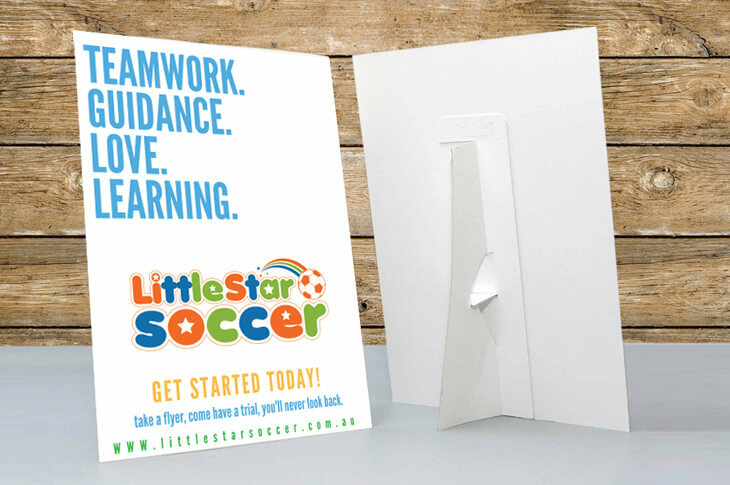 Our economical 400gsm card, with optional matt or gloss lamination to really bring out your colours and protect your cards from general wear and tear are a great option for short term promotions. We can even add foil detail to your 400gsm strut cards for a luxury finish. If you would like strut cards that will be kept on your counter for a longer period, and may need to be wiped down, our block mounted prints are a great option. 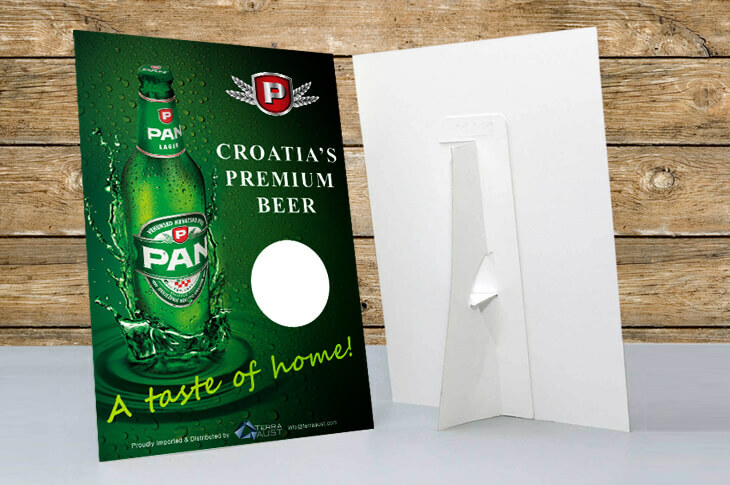 Printed full colour on vinyl and applied to either 3mm foamcore or 2mm PVC, these blockmounts provide the perfect solution for small orders needing a longer life span. What are Strut Cards used for?